The outback town of Alice Springs lies close to the geographic centre of Australia and is about 1500 km away from the nearest city. About 28,000 people live in the greater Alice area and about 20 per cent of its population identify as Aboriginal or Torres Strait Islander. Its climate is typical of desert Australia, with hot dry summers and temperate winters with warm days and cold overnight temperatures. The town is well served by air services to major capital cities, and lies on the Darwin to Adelaide rail link. Alice Springs is a major tourist centre due to its proximity to the Uluru - Kata Tjuta National Park, home of Uluru (Ayres Rock), which lies about 450 km south-west of Alice Springs. Kings Canyon, Palm Valley and the beautiful gorges and swimming holes of the West McDonnell Ranges are also close to the town. Alice Springs has many Indigenous art galleries, an Olympic-sized public swimming pool, an 18-hole golf course (rated as one of the top 10 desert courses in the world), equestrian centres, a casino and a major public hospital, which serves about one million square kilometres of Central Australia. The Alice Springs Desert Park, located about 10 minutes out of town, is a popular attraction with walk-through enclosures demonstrating the variance between different arid environments and their bird and animal populations. 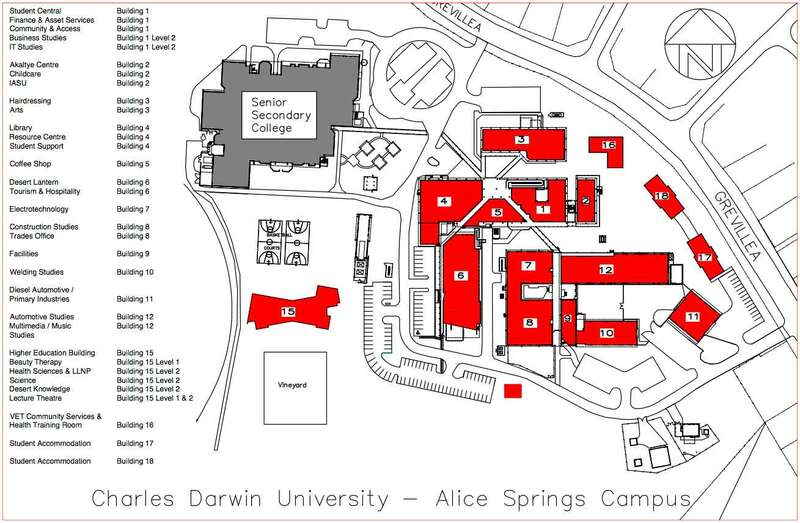 Charles Darwin University's Alice Springs campus, which is close to the town centre, offers modern facilities surrounded by native gardens and views of the MacDonnell Ranges. The multi-sector campus has a modern library, electronic learning resource centre and extensive facilities, including a 250-seat theatre often used by the local community. 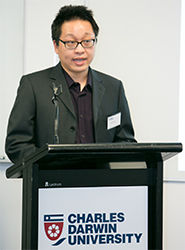 The campus is connected to the Darwin campus of CDU and to other institutions through a broadband linkage, which is part of the Australian Research and Education Network. Further information on Alice Springs and the Northern Territory can be found at www.alicesprings.nt.gov.au and www.nt.gov.au.